While employers and human resource professionals may like to believe that all job candidates are honest about their past experience and education, this is unfortunately not the case. Resume fraud is becoming more prevalent in today’s marketplace, and it is important for employers to know if they are truly hiring who they think they’re hiring. Applicants embellish their credentials on resumes and job applications for various reasons. In a competitive job market, individuals seek to set themselves apart from their opponents. High rates of unemployment make people desperate to stand out, and many feel one of the only ways to do this is to lie about their qualifications on their resumes. A 2012 study completed by the Society for Human Resource Management (SHRM) found that some key reasons job seekers lie on resumes include envy of others succeeding, a lack of confidence in their job search ability, and a history of past deviant behavior. Job hunters are no longer simply exaggerating their work history and education credentials, they are completely making things up. Verifying both past work experience and education is a crucial step for employers when selecting an applicant to work for their company. The importance of verifying resumes is evident in the case of Matthew Martoma, a former SAC Capital Advisers employee. In early February, Martoma was convicted of conspiracy, securities fraud, and insider trading. Events like this do happen and it can be hard to predict these occurrences. However, court transcripts show that Martoma was expelled from Harvard Law School after forging a transcript to submit for a clerkship. Uncovering this type of information could have made his former employer think twice before hiring him, which could have prevented the damages the company experienced. Hiring individuals who lie on their resume puts employers at extreme risk, and is something that can be avoided by performing background checks and verifications. Another trend closely related to lying on a resume is the issue of diploma mills. 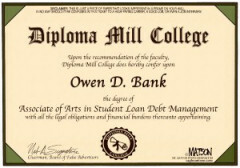 Diploma mills are unaccredited schools that offer degrees for little or no work, and provide little, if any education. While there are thousands of fake schools in the diploma mill industry, most of them fall into one of two categories: a) those that openly sell degrees for cash, and customers know that they are paying for a fake degree; and b) those that pretend to be real schools and students “graduate” thinking that they have earned an actual degree. Either way, hiring applicants that have obtained a degree from a diploma mill is another risky move for employers. People who claim to have degrees but never did any work to earn them are probably not prepared to take on the duties necessary for the job and do not have the proper foundation to build upon. Recently, a school administrator in Providence, RI was found to have knowingly obtained a degree from a diploma mill. The team of journalists investigating this story was able to purchase a Ph.D. over the phone in as little as ten minutes. Hiring an individual who simply ordered a degree has many repercussions for employers. Verifying education is crucial for employers when hiring a new employee. It is also important to verify professional licenses that people claim to have. For example, suppose someone claimed to have a professional license in dentistry on their resume, yet they only made it through one year of dentistry school and never actually received that license. If that person were hired as a dentist without having their license verified and an incident occurred during a procedure with a patient, the office would be in serious trouble. By verifying professional licenses, companies avoid damaging lawsuits that could have serious negative effects on their business. Performing thorough background checks and verifications is the most effective way to uncover false truths on a resume. Reputable background screening companies such as Hire Image train their staff to be extremely thorough in the verification process and recognize diploma mills. Performing this highly valuable procedure could prevent your company from experiencing the unfortunate – and costly – repercussions of fraudulence. People were faking details on their resumes long before our economy took a nosedive, but the last few years have seen a rise in resume embellishment and outright lies. Tough competition among candidates as a result of high unemployment has caused more people to lie about their credentials. As a result, unscrupulous entities have sprouted across the Internet, posing as institutes of higher education. These so-called college and university websites can appear legitimate and may even have a “.edu” extension, making it easy to fool employers. However, they are in the business of selling fake diplomas and degrees, often awarded for nothing more than “life experience” and the right price. Many of the websites are fairly impressive, yet reading the fine print reveals what they offer is paper for sale. These are known as “diploma mills,” and they profit by helping corroborate resume fraud. 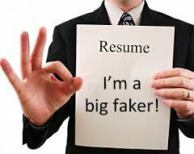 The Internet has also made it convenient to provide fake employment information on a resume. There are websites that will help a person fill in employment gaps with false information, for a fee. They may provide letters of reference, and even go so far as to offer a fee-based service to candidates, with telephone numbers and “personnel” of fake companies (or using the name of real companies) standing by to verify employment and provide references over the phone. 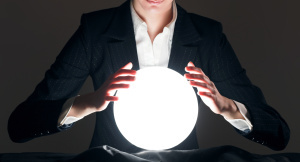 Resume fraud is a growing issue that all employers should be aware of. CNN.com reported (January 12, 2010) that George Gollin, a board member of the U.S.-based Council for Higher Education Accreditation, estimates more than 100,000 fake degrees are sold each year in the U.S. alone. A shocking number, to say the least. Resume fraud can be detected with the use of a professional screening service such as what Hire Image provides. Our staff is trained to vet the false companies and information, and to take the necessary precautions to prevent you from becoming a victim of resume fraud. If you’re unsure of something you see on a resume that looks too good to be true, go with your gut and contact us.